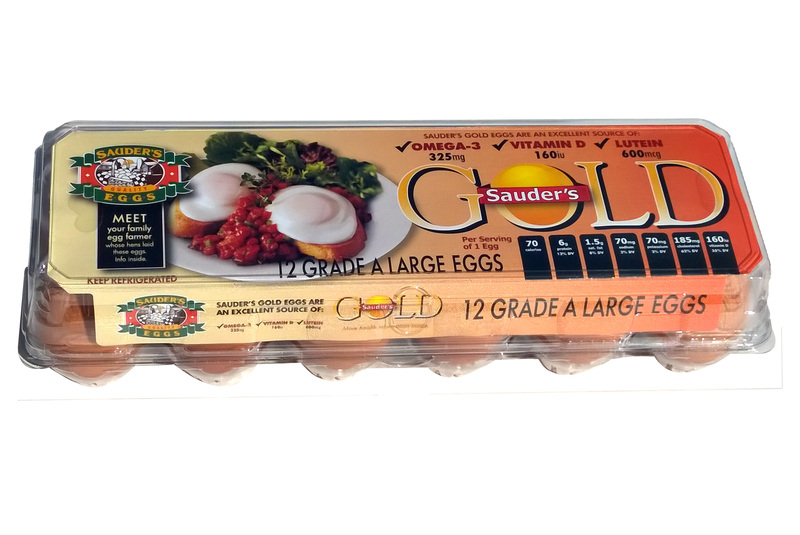 You already know that Sauder’s Eggs are of the highest quality and freshness, but have you tried our Gold Eggs yet? These eggs come from our hens that are fed Sauder’s Gold Feed. This special vegetarian, all-natural blend of proprietary feed means higher levels of important nutrients are in every Gold Egg. Whether you’re using Gold Eggs in a new recipe or just eating them on their own, you’re having a delicious and nutritious meal or snack. In the past, many people believed that eggs were not a healthy part of a diet, but research has shown that eggs are in fact an excellent food to include in your diet because they have a number of health benefits. For instance, eggs have zero carbohydrates and are a great source of protein. You can also eat them on their own or include them in a huge variety of different foods. Sauder’s Gold Eggs have even more health benefits than conventional eggs, and what sets them apart from conventional eggs is their added nutritional value. These eggs have higher levels of important nutrients — omega-3 fatty acids, lutein, and vitamins D and E, each of which have important health benefits. The reason for this nutritional boost is Sauder’s Gold Feed, which is made from all-natural ingredients and is free of hormones and antibiotics. Omega-3 is an important nutrient and crucial for good health. It improves circulation and can help prevent certain chronic diseases, including heart disease, arthritis, and cancer. Omega-3 has other benefits, too. It helps with circulation and can help prevent some chronic illnesses, like heart disease, cancer, and arthritis. But the human body does not produce it naturally. So we have to either find foods that do have it or take supplements. 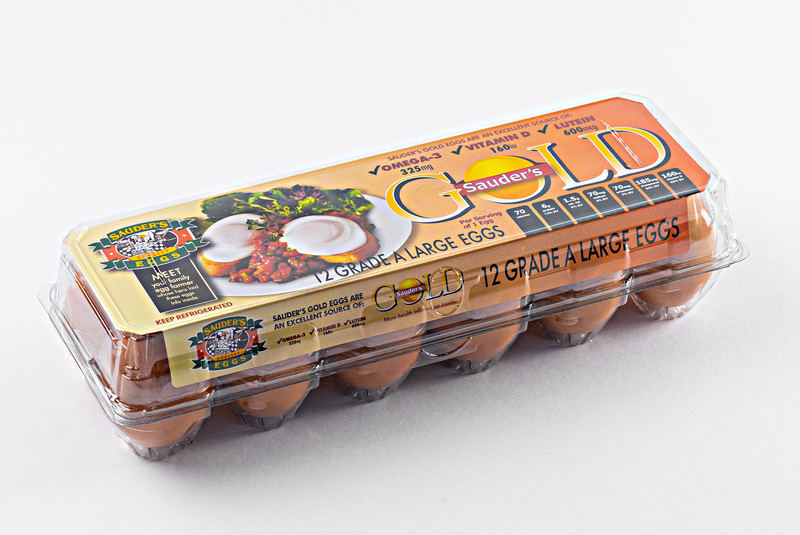 A great, easy way to get a healthy serving of omega-3 fatty acids is with Sauder’s Gold Eggs. Would you rather eat a delicious meal or spend extra money on a supplement? Lutein promotes better eye health and can help prevent colon cancer, breast cancer, and type 2 diabetes. And Vitamin D makes helps make your bones and teeth stronger, and vitamin E helps your immune system and promotes healthier skin and eyes. Compared to conventional eggs, Sauder’s Gold Eggs have 276 mg more of omega-3, 455 mg more of lutein and 3 mg more of vitamin D. Along with these health benefits, eggs are a healthy choice in general. They are low in calories and a great source of protein. They also contain good cholesterol and can keep you feeling fuller for longer. With all of the health benefits, freshness and delicious taste of Sauder’s Gold Eggs, you may be ready to pick some up! We know you only want to feed yourself and your family dishes and snacks that have the best ingredients — with our eggs, you never have to worry about the quality. To find Sauder’s Gold Eggs at your nearest retailer, please use our store locator today to begin cooking with our delicious, top-quality eggs!